We took the Ultra touring experience and lowered it into one easy-handling, smooth riding, fully-loaded machine. Settle into the low seat for high miles. If you want the full-on Harley-Davidson Ultra Touring experience in a lower form, throw a leg over the Ultra Limited Low. No other full-dress Grand American touring machine puts you closer to the pavement. And every feature of this motorcycle was built to inspire confidence and easy handling. There's a reduced-width primary cover for an easy reach to the ground. Reduced diameter grips for an easy reach to the bars. It's all about being comfortable in the saddle. Because that's what takes you farther. Project RUSHMORE started out as a way to re-think the venerable Harley-Davidson Touring motorcycle from fender tip to fender tip. It’s turned into a never-ending quest. Each year the going just gets better for the rider who points one of our bikes down the highway. As you might guess, a big part of the effort has gone into finding ways to help riders pass faster, stop quicker, take curves tighter and see further at night. Here are a few of the ways Project RUSHMORE is currently adding the control you feel in the saddle: Reflex™ Linked Brakes with ABS, Daymaker™ LED headlamps and fog lamps, brighter Tour-Pak® luggage carrier lighting, brighter turn signals, brighter brake lights, and a steering head with stiffer front forks. The bikes are better then ever. Project RUSHMORE control. An invitation to see how good you can be, written in Milwaukee steel. 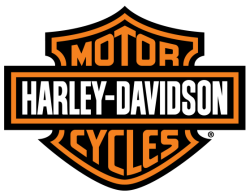 When we go to work on the infotainment system for a Harley-Davidson Touring motorcycle we follow one simple principle. If you’re going to live in the saddle of a top-end touring bike, you deserve better sound than most people have in their living rooms. More sound. Purer sound. Big, full-color touch screens. Switches that are located where you intuitively want them to be and can reach without removing your hands from the grips. Voice activation for your music, phone and GPS. Think of it this way. Back in the day there was nothing wrong with the sound of Johnny crackling out of a dashboard Philco. But what the latest Project RUSHMORE infotainment systems do for your ears, and eyes, is infinitely better. 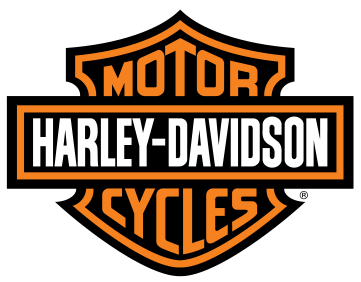 Starting with the days when early riders bolted plastic windshields to their machines and began crisscrossing the country, the Harley-Davidson Touring motorcycle has already gone places no one could have imagined. We began Project RUSHMORE to discover what comes next. When it came to rider comfort, that meant getting in the saddle and putting in miles. Thousands of miles, over every sort of pavement the road could throw at us. Experiencing every sort of condition Mother Nature could throw at us. We used the info to dial in airflow, passenger space, back rests, seat textures, legroom and hand controls and anything else rider and passenger feel out there. Then hit the road to test and re-test it all over again. That’s how we can say with confidence we’re building the most comfortable machines on the road. Ride one. You’ll say the same thing. With a name like Project RUSHMORE, you know we were aiming high when we set out to rethink what riders experience on our Touring machines. These weren’t just motorcycles. They’re part of the American landscape. So we set about perfecting the way they work, feel and look the only way we could. By riding. Millions of miles. Countless hours. More grueling road tests than any sane person would ever want to endure. We discovered the technology and the innovations to make the ride better. And through it all we never took our eyes of the style of the machine.